In my work, I grapple with how a poem can point beyond itself and engage with multiple voices, ideas, histories, and landscapes. My poems feature long, discursive lines which connect popular culture with political concerns, cross many geographies and time periods, and employ a variety of rhetorical strategies to explore charged emotional material. I aim to explore desire, grief, and loss in a world where private relationships are always illuminated and informed by larger, more despotic forces. Joanne Diaz’s poems have appeared in AGNI, The American Poetry Review, DIAGRAM, The Greensboro Review, The Missouri Review, Prairie Schooner, The Southern Review, and Third Coast. She is the recipient of fellowships from the Illinois Arts Council, the National Endowment for the Arts, and the Sustainable Arts Foundation. She is the author of My Favorite Tyrants (winner of the Brittingham Prize, University of Wisconsin Press in 2014) and The Lessons (winner of the Gerald Cable First Book Award, Silverfish Review Press, 2011), and with Ian Morris, she is the co-editor of The Little Magazine in Contemporary America (University of Chicago Press, 2015). 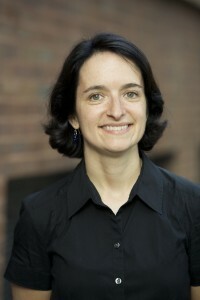 She is an Associate Professor of English at Illinois Wesleyan University.